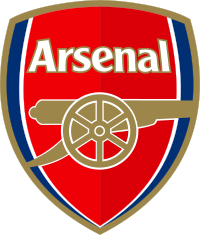 Almunia: 5,5 – Can we call his mistake a blunder? He had to make that ball his and the conceded goal will raise questions ahead of a long season. Gallas: 7 – Ladies and gentlemen, our top scorer! Vermaelen: 7,5 – More and more solid and like Gallas, a beast when going forward for set pieces. Gibbs: 6 – Still rusty the youngster. In two occasions he let Piquionne go without causing him any particular trouble. Eboue: 7,5 – What a game from Emmanuel and I’m so happy for him as he deserves it. The other Emmanuel, Adebayor, was shocking last season because he wanted to leave but was not allowed to. This Emmanuel, is the complete opposite, a true professional. Diaby: 8 – Perfection from the Frenchman but curious to see him when we’re under pressure. Fabregas: 8 – Top class half, a performance which clearly shows that we would struggle a lot without him. Denilson: 6,5 – Another very solid performance from the Brasilian but like Diaby, I want to see him when we are under heavy pressure. Arshavin: 6,5 – Produced some nice runs just like in the first two games but how come he’s yet to have a sniff of goal? Van Persie: 6,5 – He unleashed a wonderful set piece in the first half and turned provider in Ramsey’s goal but I’m still not convinced he’s enjoying himself out there, too wasteful in front of goal. Eduardo: 6,5 – Some of his runs, especially the one leading to Diaby’s goal was phenomenal and it means a lot for us Arsenal fans to see him healthy and fighting for the ball without any particular fear. Ramsey: 6,5 – Replacing Cesc is no easy job but Aaron was full of confidence out there and so cool in front of James to score the fourth. Merida: 6,5 – Here’s another one who was not shy to show his skills. So many solutions for Wenger on the wings. Bendtner: 6 – Not the greatest of impacts but I believe Nicklas will be important this season, more than anyone may think.